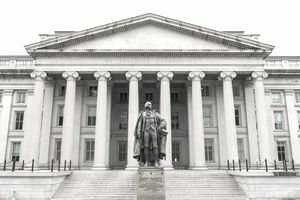 Investors and economists look at the difference between the yields of two different U.S. Treasury securities to draw conclusions about where the economy is heading. The difference or spread is between the Fed's short-term borrowing rate and the rate on longer-term U.S. Treasury notes, which is determined by activity in the bond market. Why Look at the Yield Spread? The width of the yield spread between these two securities helps to support predictions on whether the economy will experience a recession or a recovery over the course of the next 12 months. The spread between the yields on the two- and ten-year U.S. Treasury notes, for example, is an important gauge regarding the current “shape” of the yield curve. The yield curve is a graph with plotted points that represent the yields over time on bonds of varying maturities— typically from three months to 30 years. Investors analyze the shape of the yield curve—and the changes to its shape—to gain a sense of economic expectations. When the market foresees an environment of stronger growth, higher inflation, and/or interest-rate increases by the Federal Reserve, the yield curve steepens. “Steepening" means that the yields on longer-term bonds rise more than the yields on short-term bonds. (Keep in mind, prices and yields move in opposite directions). Conversely, when investors expect weaker growth, lower inflation, and easier Fed policy, the yield curve often flattens. In this case, the yields on longer-term bonds fall more than the yields on short-term issues. One of the most popular ways to measure these changes is to measure the difference between the yields on the 2- and 10-year Treasury notes. The following chart shows the difference in this spread over time. 10-Year Treasury Constant Maturity Minus 2-Year Treasury Constant Maturity. When the line in the graph rises, the yield curve is steepening (in other words, the difference or spread between the 2- and 10-year yields is rising). When the line falls, it means the yield curve is flattening (i.e., the difference between the 2- and 10-year yields is declining). Slow growth of the late 1970s: The slow growth of the late 1970s is shown by the 2- to 10-year yield spread moving into deep inversion on the left-hand side of the graph, while the recovery of the 1980s is reflected in the upward movement in the line thereafter. Warnings about downturns to come: The yield curve became inverted prior to the recession of the early 1990s, the bursting of the technology stock bubble in 2000-2001, and the financial crisis of 2007-2008. In each case, it provided an advance warning of severe weakness in the stock market. The post-2008 era: Since the financial crisis, the Federal Reserve has kept short-term rates near zero, which has depressed the yield on the 2-year note. As a result, the movements in the 2- to 10-year yield spread have been almost entirely the result of the fluctuations in the 10-year note. The volatility of the line in this interval reflects the uneven, shifting nature of economic conditions in the post-crisis era. Keep in mind, shifting market forces can make the yield curve an ineffective indicator—for instance, the decline in the United States’ debt contributed to a decline in the 2- to 10-year spread during the late 1990s even though the economy performed during that time. The yield curve has continued to trend downward through December 2018, in keeping with an ongoing downward trend that started in 2014. The December 2018 spread of .21 percent is hitting a level not seen since the 2008 recession. As the spread nears zero in January of 2019, investors will expect to see a recession in the next 12 months, in year 2020.